Are You A Woman Ready for Greater Happiness? Better Self-Esteem? Reaching the Level of Success You Desire? 6-week program entitled: 6 WEEKS TO LIVING YOUR BEST LIFE! In 6 weeks, Rose empowers you to completely release your negative thoughts, emotions and limiting beliefs to reach the level of happiness you deserve, the healthy relationships and the level of success you desire! Living your best life means clearing out anything that is getting in the way of your happiness, healthy relationships and the levels of success you are working so hard to achieve! If you are a woman dealing with one or more or perhaps all of the following; This is for you! Anxiety, stress, overwhelm, self-doubt, hurt, anger, chronic procrastination, not reaching your professional goals, endless mind chatter, fears, feeling “less than”, feeling “stuck”, “Imposter Syndrome” (Why would they hire me? ), fear of success, fear of failure, etc. Releasing these negative emotions and limiting beliefs so important because they are what is HOLDING YOU BACK from LIVING YOUR BEST LIFE!! 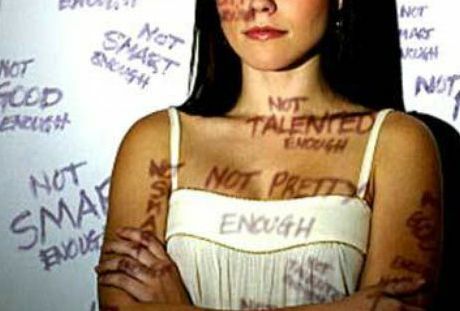 That negative mind chatter telling you that you are “not good enough”, “not smart enough”, etc. it is the story of lies you keep telling yourself and after a while you begin to believe it and then live it! After working with women for over 25+, Rose could see that the negative mind chatter, the negative emotions and limiting beliefs were causing her clients and employees to get in their own way due to self-sabotaging thoughts and behavior. Rose’s 25+ years of experiencing working with women, starting and running businesses from the ground up, being married and raising a family; coupled with her training and certification in the only female created visualization technique designed for a woman’s brain; Rose understands! More importantly, she knows what is waiting for you at the end of your 6 weeks! She experienced this for herself and has never looked back! If you have tried counseling, self-help books and more and nothing has been long-lasting in terms of a true solution; look no further. This does not take months or years. We do not have time for that! You will begin to become aware of and identify self-sabotaging habits and self-talk and learn how to quickly turn them around into benefiting habits. You will learn tools to use to overcome anxiety and overwhelm as well as fear and any other negative emotion not serving you. You will NOT need to leave the comfort of your own home or office. You will feel lighter and free. You will wish you had done this sooner! You will want this for all of your friends and family. Peggy is right, don’t wait! What is all of this costing you in terms of your happiness, health, relationships, business? All your sessions are 1-on-1 with Rose. Although Rose wishes she could bring this 6-week program to every woman, she is simply one person with limited of hours in a week. Therefore, she has limited space available and a pre-assessment process is in place to be certain that this is a good fit. There are often waitlists, so as Peggy mentioned in the video; DO NOT WAIT! Your personal development is too important. Your family and your business is too important! Think of all the money spent on designer clothing, shoes and handbags. Dinners out and vacations. We feel good for a bit but do they give us greater self-worth? Long-lasting happiness? Success? Healthy Relationships? Make the most important investment you can make --- YOURSELF! It will carry over into your relationships and your business! Make sure that you are at the level of happiness and success that you desire and deserve! Make sure that you are LIVING YOUR BEST LIFE! YES! I AM BEYOND READY TO LIVE MY BEST LIFE! A thorough Pre-Assessment process allowing Rose to understand; WHAT IS GOING ON IN YOUR HEAD and WHAT IS HOLDING YOU BACK! Weekly 90 Minute 1-on-1 sessions with Rose herself, conducted over Zoom! *Step-by-step instructions will be provided on how to download this free software. Rose’s vast experience and insight to help you move forward and live your best life! Full discovery of what blockages are holding you back! A complete clearing of all of your blockages, negative emotions and limiting beliefs! Understanding the power of limiting beliefs and negative emotions! Tools and tips to help you achieve a mindset shift! Learnings about the Importance of The Female Factor and how you can be better prepared in life, relationships and business! Powerful Affirmations to Utilize Each Day! Techniques to aid you when emotions trigger you! Access to a Private Facebook Community of Empowerment! Future discounts on Workshops, Online Programs and Women’s Conferences and Retreats! More importantly, in 6 weeks you will be happier than you have ever been, you will be ready for the relationships and the level of success you desire, and you will be ready to LIVE YOUR BEST LIFE! The Live Your Best Life Program normally sells for $1997. However, Rose is ready to open up her next 6-week session block and she only has limited spaces available due to her speaking schedule. Therefore, she is giving A SPECIAL OFFER OF of $1,497! That is an incredible value! A savings of $500! You can also pay in 3 monthly installments of $550. However, all payments must be received before your sessions can begin. Listen, we all find a way to get what we want. We simply need to make it a priority and be intentional. If you want to be set free from everything that is holding you back, you will find a way! What is Living Your Best Life worth to you? Do not wait! The sessions WILL get booked QUICKLY. You deserve to be living your best life and reach the goals you desire! Again, Rose conducts all the sessions personally, so there are limited spaces available. Make the decision to put you first. A better you; Is a better wife, mommy, friend, employer or employee. More importantly, a better you, is a happier, healthier more EMPOWERED YOU who is LIVING HER BEST LIFE! I am ready to live my best life! Still not sure? Have more questions? CLICK HERE to schedule your free 15-minute consultation.